I made a quick pit stop last night after a meeting at the bookstore. 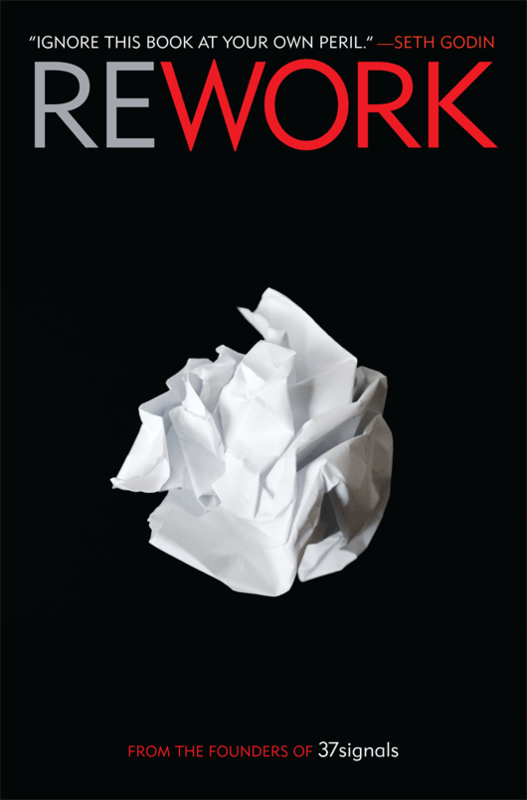 I was hoping to pick up a book on copywriting, but was stunned to find “Rework ” available at my local Borders. I thought Rework, the latest book, formally written and conventionally published by 37signals, wouldn’t be available at a local bookstore. I was wrong. Well we’ll come back to this in just a minute. I promise. I picked it up – it’s very unassuming with very little conventional information on the back cover and decided to go for it. I respect Jason Fried and everyone at 37signals and we absolutely love their Online Project Management Software. We use it every single day here at Atilus. You’ve probably used Basecamp. This is the book about the business practices 37signals employed to become so successful and bring us Basecamp. Here’s why you must read it… it’s short, quick, to the point, revealing everything you ever knew about business to be potentially right, and also highlighting the normal business stuff that gets us all in trouble. Do you hate meetings? I sure do… they’re a waste of time, usually full of BS, and as the book states..
[meetings] often include at least one moron who inevitably gets his turn to waste everyone’s time with nonsense. You will probably especially appreciate the beginning of the book, addressing Rework’s audience. This book is not for conventional business people. People with business degrees, MBAs, seasoned professionals with tons of employees, eeking out a living or the captain of a dying ship. No, this book is for a generation ready for change (no matter what their age). A generation who understands the ability for technology to transform, how to harness it, and how to take charge of your own destiny, if only in a small way. Ready to make money at something you love – even if you don’t make millions, or don’t even drop your day job? Then Rework is for you. It’s for the people who’ve been in business, who feel like they work all the time, but never get ahead. If you’re simply stuck at a boring 9 – 5 job and wish you could do your own thing, work for yourself, and make money doing what you love, rework is also for you. I highly recommend checking it out! Crazy, Amazing Technology… is This All Necessary?